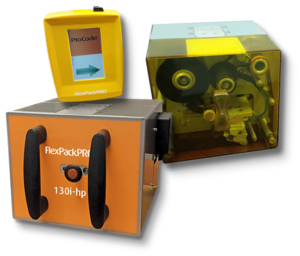 FlexPackPRO® has a complete line of high-performance, cost-effective thermal transfer overprinters (TTOs) perfect for printing variable date codes, barcodes, text and graphics on flexible packaging film, labels, pouches, sheets, card stock and other materials. These TTO systems integrate easily with new or pre-existing packaging lines and offer unmatched reliability. Clutchless ribbon drive and tension control design maximizes up-time and long-term performance. Full-featured, highly intuitive ProCode image design software FREE with all systems. 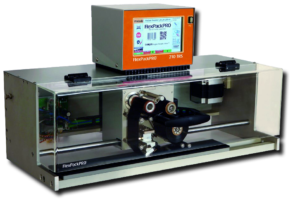 Small, economical, high-performance TTO coders for traditional date and lot coding on flexible packaging and labels. 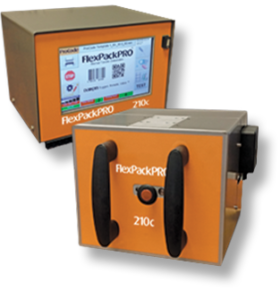 Perfect for small packaging machines and labelers. 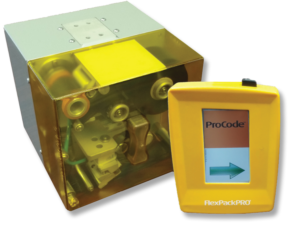 Among the most popular TTO printers on the market, FlexPackPRO 210 Series coders provide high-resolution barcodes, date codes, text and graphics in virtually any packaging and labeling environment. For those applications requiring larger format codes, text and graphics, there is no better combination of performance and value than these outstanding 4″ wide Thermal Transfer Overprinters. For low-volume applications in smaller facilities with littler or no access to compressed air, these cost-effective, all-electric TTO units get the job done. 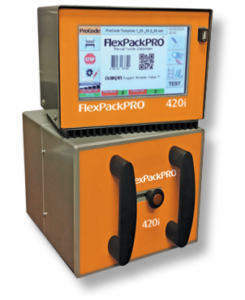 This complete, stand-alone option utilizes a manual feed and foot-pedal to easily print variable text, codes and graphics directly onto bags, pouches, cards, tags, chipboard boxes and more. 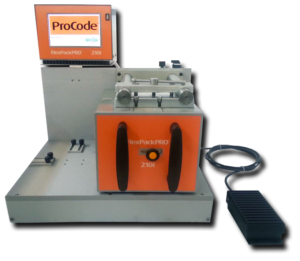 This is an easy-to-use, out of the box printing solution is perfect for lower volume printing & coding needs. Print perfect codes, text and graphics on an extensive range of papers, films and foils with this rugged, user-friendly, surprisingly affordable integrated system. 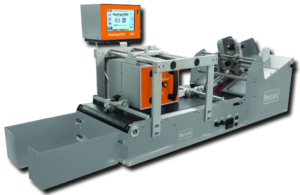 The automated feed system is a perfect on-demand batch printing solution for a broad variety of sheets, bags, sleeves, zipper-pouches, cards and boxes. This automated reel-to-reel printing station allows you to easily print variable information, graphics and barcodes on preprinted labels or packaging film. This offline solution is an economical way to customize generic packaging film on-demand and greatly reduce your inventory of pre-printed material. 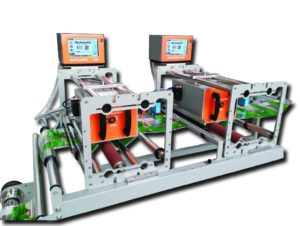 This automated traversing system easily integrates into most flexible packaging machines to provide cost-efficient, multi-line printing of date codes, ingredients, logos, barcodes, and other variable information directly on to an array of packaging film. The intuitive, Windows-based software enables users to easily create anything from a simple alphanumeric/numeric and variable data messages to sophisticated 2-dimensional bar-codes and graphics. 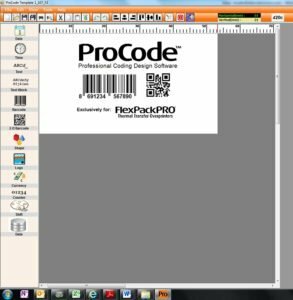 Every FlexPackPRO customer is given comprehensive training on ProCode, and our software support staff is always available to help.